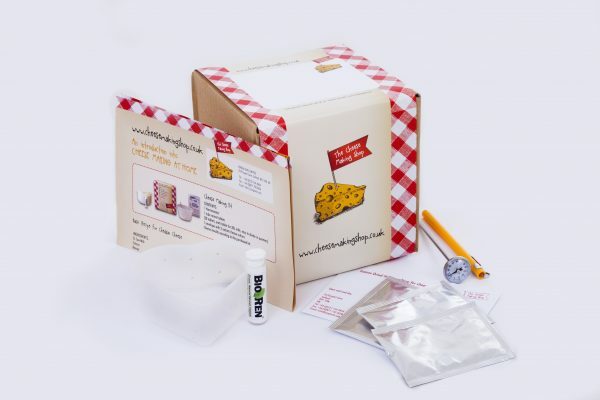 This cheese making kit comes with what you need to make soft and hard cheese. 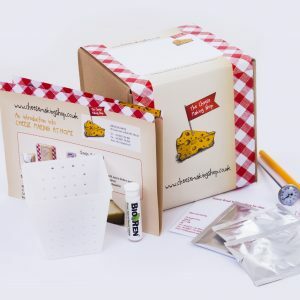 Included is a sheet with a basic soft cheese and cheddar cheese recipe and additional information how to take your hobby forward. The rennet and cultures can be used for a number of production runs. When they eventually run out, you can purchase new in our shop. Hard and Soft Cheese Making kit makes discover that cheese making is a great hobby! 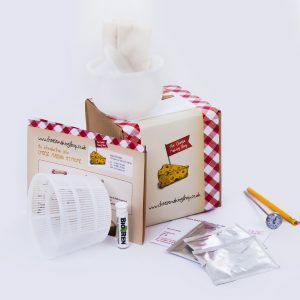 This Hard and Soft Cheese Making Kit comes with what you need to make soft and hard cheese. Ideal starter cheese making kit. comes with what you need to make soft and hard cheese. Ideal starter cheese making kit. 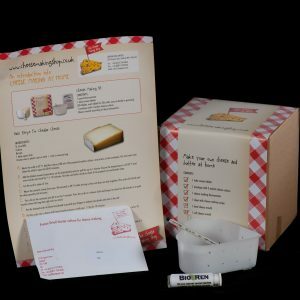 Included is a sheet with a basic soft cheese and cheddar cheese recipe and additional information how to take your hobby forward. The rennet and cultures can be used for a number of production runs. When they eventually run out, you can purchase new in our shop.